This weekend sees the return of Championship rugby at Brickfields when Albion entertain Nottingham. Sitting third in the league, the Green and Whites leapfrogged Albion after trouncing Jersey in the last league fixture. However, like Ablion, they come into this game off the back of 2 successive defeats in the B&I Cup and will be looking for a return to winning ways. Both sides have had fairly similar results, although Nottingham were unfortunate not to have claimed the scalp of Bedford. We can expect Nottingham to play an expansive game, but will close it up if there is a weakness to exploit. Defensively, they will be hard to break having only conceded 10 tries this season – second only to the Falcons. Lineouts again may prove to be Albion’s Achilles’ heel as Nottingham see this aspect of the game as one of their stronger points. Japanese International James Arlidge, who currently sits top of the penalty scoring table and has claimed the only drop goal of the season, will seek to control the game with the boot. Nottingham may rue losses through injury of wing/centre Tim Streather and wing Rhys Crane, both of whom picked up hand injuries in their game against Jersey. One to watch - No 8 Alex Shaw – has scored three tries this season and will look to score off the back of the maul. 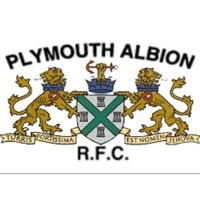 Head to head at Brickfields – Albion come out top 5-3, with the last 7 results being within 1 score, although it is 3 years since they last tasted success against the Green and Whites. Prediction – another close game – if Albion can control their own lineout then Albion will shade it. Nice one, Igwok. Good to see this feature (and the site) back - all there in a nutshell. Let's hope we get back on track tomorrow. Good luck for tomorrow Albion.Good to see this site back on air!! Thanx, cornishbob, but it was not to be.